One of my family's favorite restaurant, we are always amazed with their cooking. We don't go here everyday but when we do, we try to order a new dish each time. 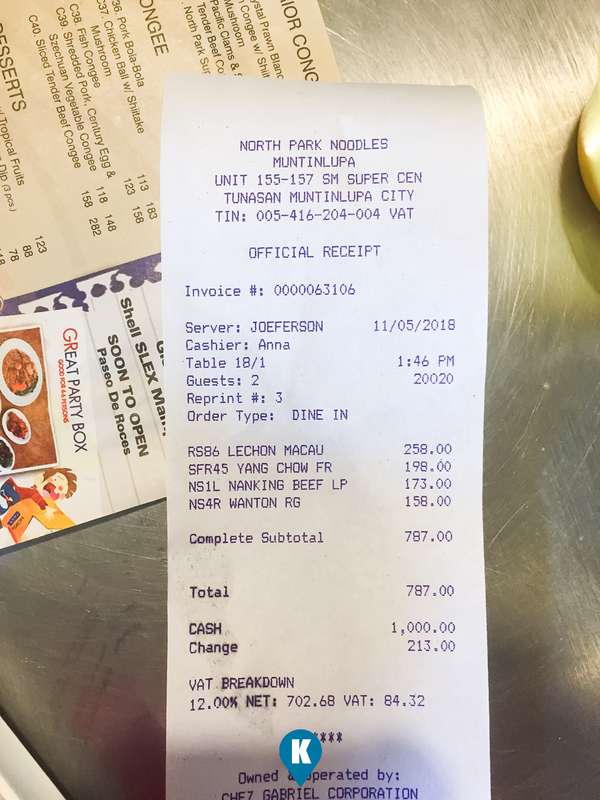 For our visit here at the SM Muntinlupa branch, we ordered the Lechon Macau, Yang Chow Rice, Beef Nanking and Wanton regular. (we forgot to take a pic of the wanton). 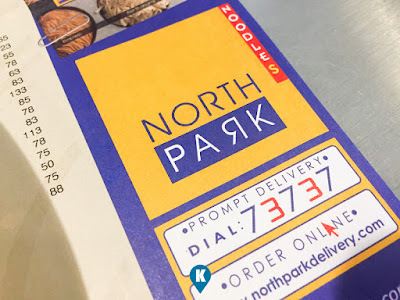 My wife arrived from abroad and she can't wait to try North Park again during her vacation. She insisted to eat here and I joined her after my meeting in Manila. Ambiance wise, it is always the same although. The decors, the tables, the chairs were I think the same. It's been like that in years, I do hope they remodel the place. The atmosphere maybe the same, but during our visit, there was a smell (not bad) that we felt were different. Maybe there was a dish that smelled different or the area is starting to smell. We do hope they make changes on this. Service wise, we came mid afternoon and there was an unusual amount of diners (this is the case always when I go in) after I arrived. The servers (three I think) were not enough to attend to us. Took some time for a server to get our order and took another time to serve them. It took 30 minutes for us to start eating from the time when we called on a server to take our order. Serving size I can't complain with North Park. This is the one of two reasons we liked them. Their serving sizes are huge. One dish already is good for two persons easy. So if I go solo here, I stick with their soup noodles lest I want to take home some rice and left over dish. Taste wise, this is the second of the two reasons we liked dining here. Although their taste isn't chinese authentic anymore, we liked theirs a lot. Its like they are trying to Filipinize the favorite chinese dishes we liked. Not too much they the dish will no longer hold its charm, but just enough for us to love them. 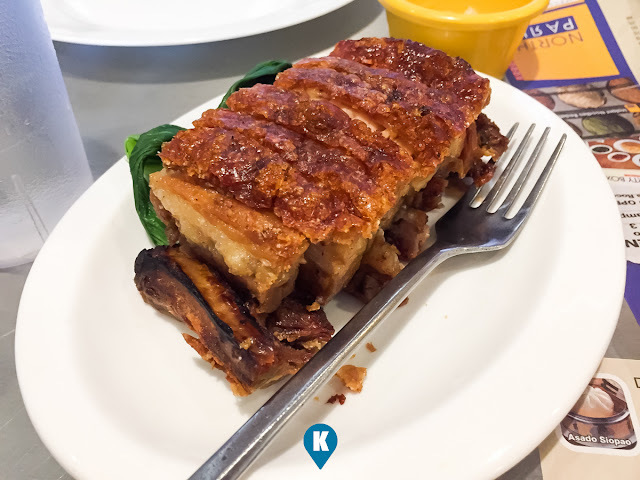 The Lechon Macau was crisy and tasty (highly recommended here). The Yang Chow Rice? simply wow. The Nanking Beef with their great tasting soup and some vegetables, great choice. The Wanton noodles were great as well. By the way, when you order the noodles here, you are asks for your choice of noodles, they have four. If this confuses you, simply ask the server what differentiates one from the other. They will be most happy to explain. *we did not have a picture of the wanton as it came last. we were already eating and I was hungry already. sorry about that. Price wise? They might be a bit pricey if you eat here alone especially the ala carte dishes. Better bring someone with you to split the bill, then its affordable. If you come solo, stick with the noodles. Either way its a win win situation and there's not a losing proposition here. 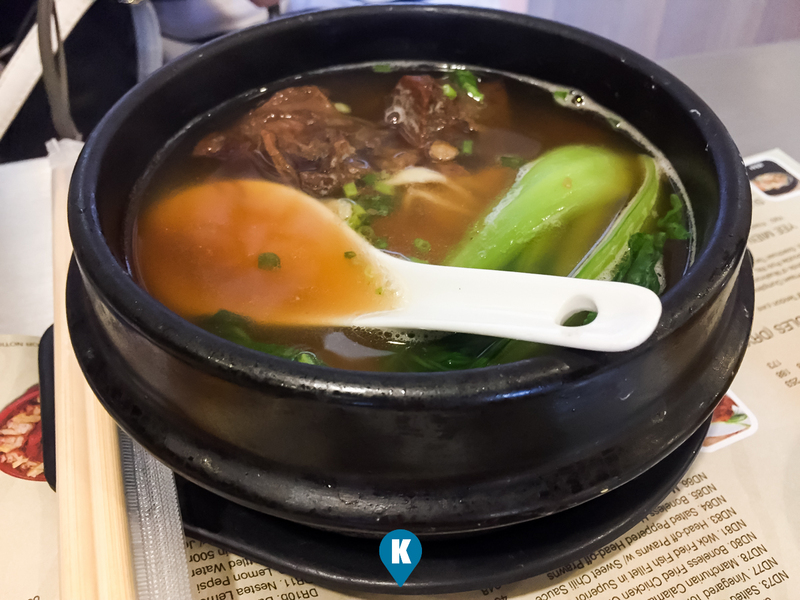 We have been biased here as we love the food here wherever branch we go to. 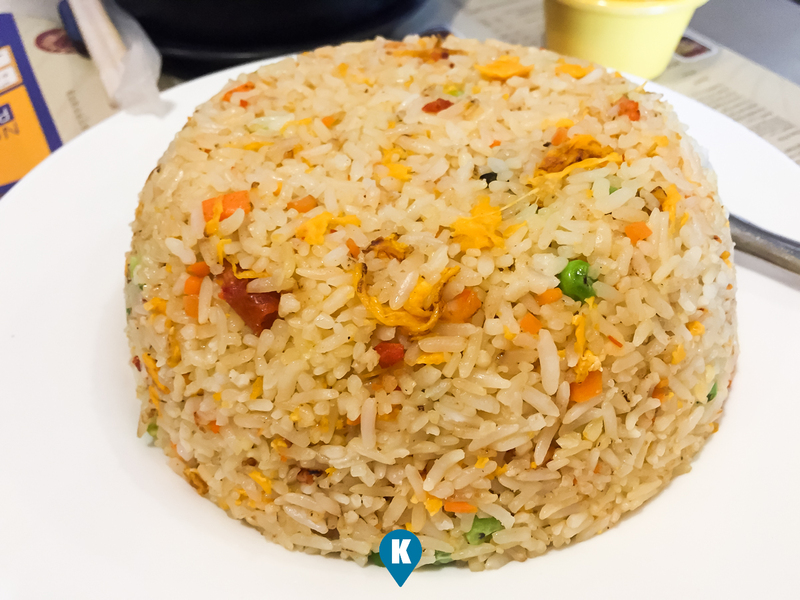 We continually pray that they maintain the quality of service and food here as long as we like to eating chinese cuisine.